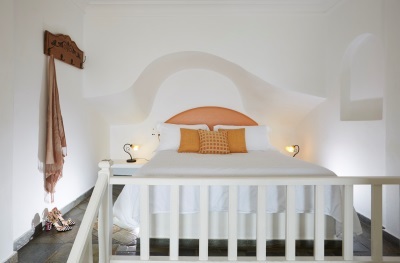 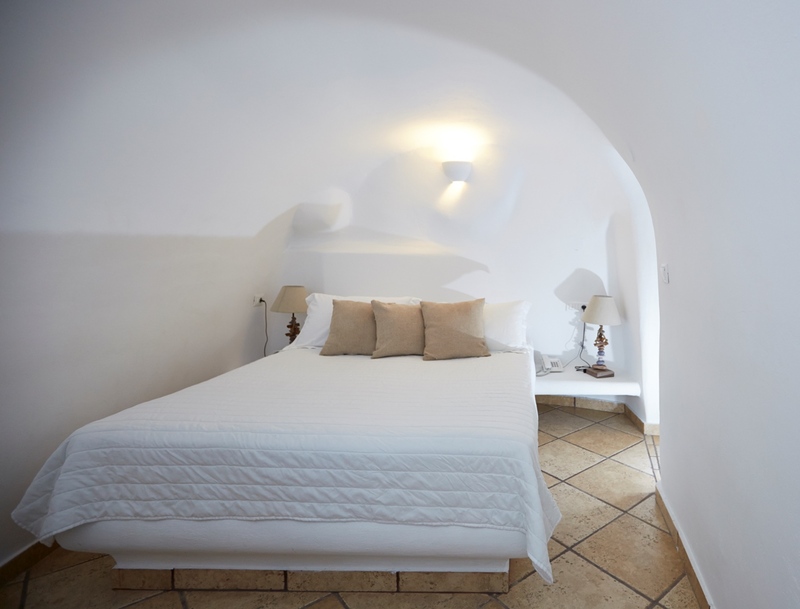 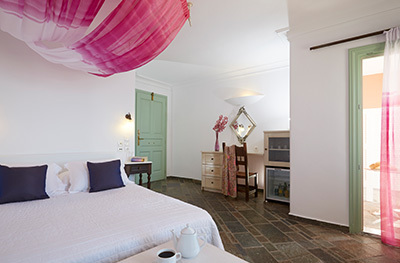 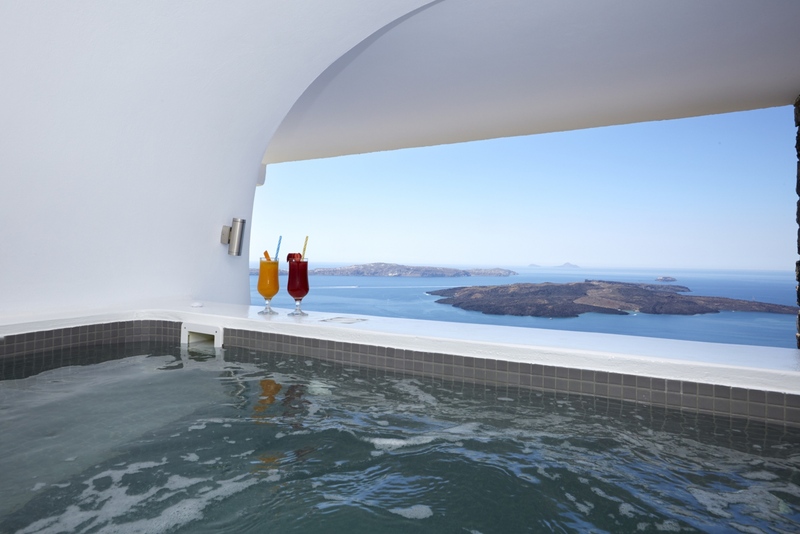 The Honeymoon Suite of Ira Hotel & Spa is a romantic getaway for two in Santorini! 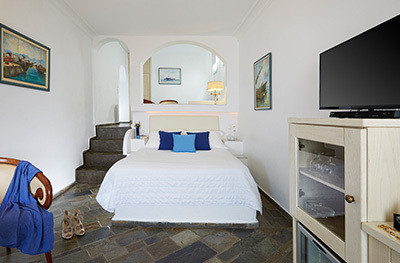 The open plan bedroom has caldera views from the window and the atmospheric lighting with the chandelier creates an elegant, romantic atmosphere. 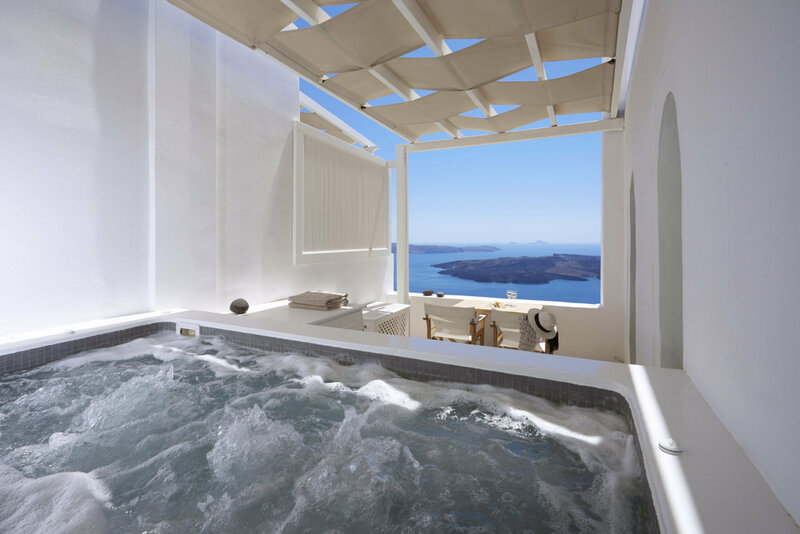 At the private balcony of the Honeymoon Suite, you can celebrate the beauty of love at your very own Jacuzzi with the unobstructed sea view.